The February 16-18 convention in Ottawa was not just a gathering to ‘launch’ Jagmeet Singh as the new leader of the labour-based New Democratic Party. It was an effort, not entirely successful, to assert his control over the entire apparatus and to impose a milquetoast political message. In that sense, it was very Jack Laytonesque – a highly centralized PR effort designed to avoid controversy, and thus, geared to stifle meaningful debate. 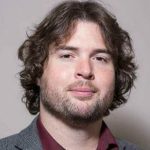 It started with the party brass relegating progressive motions, endorsed by dozens of local NDP district associations, on issues of party democracy, the Middle East, NATO, NAFTA, new pipelines, tuition-free college education, public ownership, progressive taxation, etc., to the bottom of policy priority lists. That ensured they’d never be debated on the convention floor. Preliminary work shops, held early Friday morning to consider amendments to the bureaucratically determined priorities lists, were stacked by the right wing and burdened with plentiful procedural obstacles. Nonetheless, there were points of sharp resistance, even some small breakthroughs for the rank and file, among whom were hundreds of young, first-time delegates. That was the music of the future. At the foreign policy panel, with over 400 folks crowding the room, a motion to top-rank a soft pro-Boycott Divestment and Sanctions (against apartheid Israel) resolution was debated. It failed by only 11 votes. In other panels, motions to move up policies on free education and for internet input from NDP members on policy priorities, were hard fought – and won. A number of the 1,751 registered convention delegates expressed visceral discontent with the stonewalling and obstructionism evident all around them. They used points of order and procedural arguments to attempt to short circuit establishment resolutions in plenary sessions. 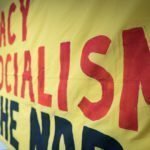 Socialist Caucus supporters avoided such tactics – with one notable exception. We did challenge the blatant bullying and domineering tactics employed by Jagmeet’s henchmen (who tried to seize control of all the mics, pro and con, and to silence voices for Palestine in the debate Saturday night on World Affairs), and we did this rather successfully. As a result, the case of 17-year-old Palestinian political prisoner Ahed Tamimi, jailed by Israel for “embarrassing the Occupation”, gained national TV exposure. It drew media coverage to the over 100 mostly young delegates who defiantly stood in a long double line across the center of the convention holding aloft “Free Tamimi” placards. The SC even helped to win a majority (558 votes, 56.1 per cent) in favour of adding 30 minutes to the plenary time for debate on the Middle East topic. Sadly, we just fell short of the 2/3 super-majority required for that agenda modification. The policy adopted, a status quo, blame-both-sides-for-the-violence, antiquated two-state solution statement, left many folks wondering what happened to lawyer Jagmeet Singh’s vaunted commitment to civil liberties. As time ticked down, the socialists did not try to rush through equity policy resolutions, even though the non-controversial motions (such as a name change for a party committee) prevented more contentious issues from being addressed. Needless to say, we voted for all the equity-seeking resolutions. The SC did try to streamline proceedings, to provide more time for policy debate, by attempting to amend the agenda at the opening of convention. While we did not win that vote, the attempt contributed to a later success of the resolution pushed by Courage to find better means to set resolution priorities. Unfortunately, the ultimately adopted measure consisted merely of a research project on the use of the internet for gathering membership input. 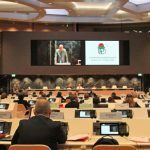 As a result, there will be no change in the existing, exceedingly corrupt, manipulative, priority-setting mechanism going into the next convention. Maybe there will be at the one after that. Many delegates (certainly those not enamored with incrementalism at a snail’s pace) thanked me and other SC comrades for trying to amend the agenda. Clearly, the numerous guest speakers and informative showcases could have been scheduled for night time sessions. Wouldn’t it have been nice to enjoy an educational alternative to the $300 a plate Ignite dinner with the Leader, and to the so-called ‘free’ socials replete with expensive bar prices? Clearly, the rank and file will continue to fight for greater democracy in the NDP. That will include the struggle for an agenda that devotes at least 70% of convention time to policy debate, not the miserable 42% seen at conventions of the past three decades. And it can be predicted with confidence that at the next convention the NDP will emerge with a pro-BDS policy – an outcome unimaginable just a few years ago. The best showcase event was titled “Nation to Nation”. It featured activist/artist Ellen Gabriel; teacher and anti-violence consultant Sahra MacLean; and Ian Campeau, a founder of the musical group A Tribe Called Red. The speakers presented an incisive and refreshing anti-capitalist analysis. Similarly, British Labour Party leader Jeremy Corbyn, who sent a video message of solidarity, got a rise out of the crowd when he said “both our parties are socialist.” It was the only use of the ‘s’ word to come from the front of the hall all weekend. 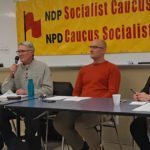 The Socialist Caucus celebrated the election of one of its candidates for Executive (Dirka Prout for co-chair of the NDP Women’s Council) and took pleasure in the fact that its other candidates received a healthy vote, including Corey David who got 16% for President, Gary Porter 27% for Treasurer, Chris Gosse 20% for V.P. Labour, and chalked up from 20% to 33% for various positions on executive and federal council. What other left current in the party presented the delegates with a choice in the election for Executive and Federal Council? What other tendency in the party fought for clear socialist policies, let alone a transitional programme of working class demands? 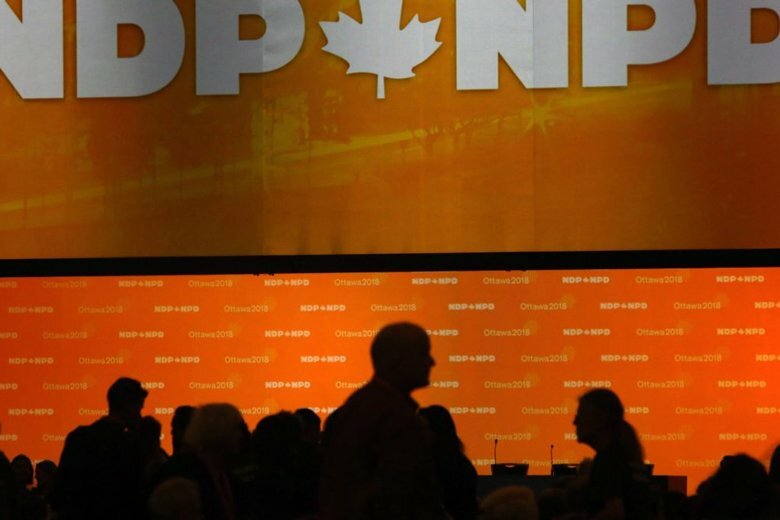 Leap held a large, spirited meeting at the Museum of Nature, but chose not to intervene in the NDP convention — which made it a little easier for the party establishment to sideline any discussion of the Leap Manifesto vision. Courage deserves credit for impressive cross-country organizing to promote its proposals for greater party democracy and for free post-secondary education. Likewise, much praise should go to the movement of Palestinians, progressive Jews and others for driving the campaign to ban Israeli settlement products from the Canadian market. Finally, NDP Momentum held a series of modestly attended events titled The World Transformed. Unfortunately, none of those groups presented an alternative policy platform or a team of candidates to challenge the right wing party establishment, much less target the toxic capitalist system. Despite being approached by the SC, both before and during the convention, none of the leaders of the above-mentioned groups showed any willingness to collaborate on specific issues or actions. While a political merger of forces is clearly not on the agenda, due to important differences over programme and strategy, a left united for particular aims is possible — and it would be powerful, if not irresistible. Unity in action should be our common goal. 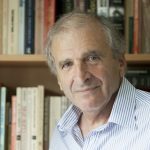 The Socialist Caucus forum on Foreign Policy, Friday night, featured Montreal-based author Yves Engler. It drew a large crowd. It sparked a great discussion that energized delegates for the next two days of convention, including for battles over democracy and certain emergency resolutions. Over 20 SC resolutions, with the support of dozens of EDAs across the country, filled the resolutions book. Its display table was a hub of activism, garnering revenues of close to a thousand dollars. Over 35 people joined the SC at Convention. Far from isolation, the group felt empowered by the experience. Singh’s theme was to reduce “social inequality”. How? By closing tax loopholes, increasing corporate taxes, fashioning a pan-Canadian pharma care, eye care and dental care program, achieving reconciliation with Indigenous peoples, and pushing for a more proportional voting system, he said. But would discredited former leader Tom Mulcair differ with that, especially absent any bold proposals to make big business pay for it? Singh completely avoided a mere mention of pipelines (ignoring the war of wine and words between the NDP provincial governments in B.C. and Alberta) and was silent on the scourge of climate change. (Is he for a carbon tax, cap and trade, or public ownership of the energy giants to fund a rapid transition to green energy?) His policy outline reads more like a mystery novel, than a party platform. To the sound of one hand clapping, NDP officials decreed the gathering a “paperless convention.” But the dysfunctional electronic app made access to timely information a constant frustration. The faux-ecology gesture proved a dismal failure. Adjournment came as a relief to more than a few techno-peasants in the auditorium. In the end, image prevailed over policy, but did so rather uneasily. The achievement of the balance of power for the left in the party is some ways down the road, yet it is within our grasp — when socialists and progressives decide to unite in the common cause of fighting boldly to win the NDP and labour to a Workers’ Agenda. After all, no victory is possible without a struggle. 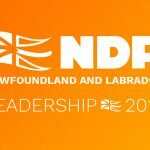 NDP Socialist Caucus Calls on NDP Leader and President to Endorse Statement of S.I. for BDS, and Explain How and Why the NDP Quit the S.I. Copyright © 2019 NDP Socialist Caucus. Designed by Sean Cain.